Is the X Worth It? If you’ve got some $200 to spend on a new CPU and you want something that can handle any and all tasks you throw at it with maximum efficiency, the Ryzen 5 2600 series is a must-have. But should you buy the Ryzen 5 2600X or the non-X 2600? 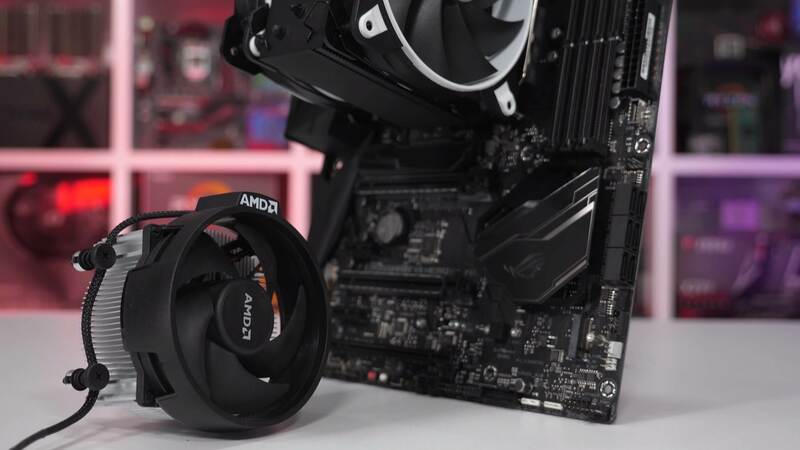 Not for nothing these AMD processors have been our picks for the best all-round value since release and they're also among the best selling CPUs on Amazon. The Ryzen 5 2600X and 2600 are currently apart by only $25. The X model gets the upper hand with better out of the box performance and a better cooler for $190, while the 2600 comes in at just $165. At stock the 2600X is ~7% faster and you get a better cooler, enough to justify the ~$25 price difference. If you're on a budget or you plan to overclock and get an aftermarket cooler anyway, the 2600 is your best bet. The 2600 and 2600X are both unlocked CPUs and can be overclocked on inexpensive B350/B450 motherboards. If you don't plan to overclock and want an amazing performer out of the box, the 2600X is a great option. If you need more cores for workstation tasks but are on a tight budget, the Ryzen 7 2700 sacrifices some single thread performance but gets you 16 threads. It's dropped in price from $300 to $220 since launch. If you can wait ~6 months, Ryzen 3600 will get you at least 15% more performance at the same frequencies. More cores are not a given at this price point, but we're in for a surprise. The vanilla R5 3600 will likely launch at ~$200-230 making today's $165 Ryzen 2600 not a bad deal at all. 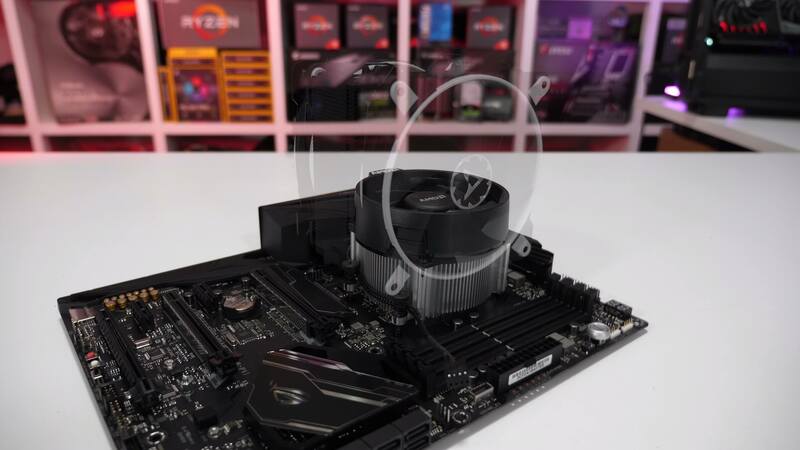 AMD is set to launch third-generation Ryzen processors in mid-2019. The new processors will be 7nm chips, based on the Zen 2 architecture and will bring performance and efficiency improvements. As we saw before, the Ryzen 3600 series will directly replace the 2600 variants at a similar $200-250 initial price point. Ryzen 3000 will be compatible with existing motherboards (yay! ), however certain features like PCIe 4.0 support will require newer 500-series based motherboards for obvious reasons. Just like we did a year prior with the first generation Ryzen processors, they occupied a similar $200-250 price range. The R5 1600 came clocked ~10% lower out of the box, but because it was an unlocked part, overclocking was an option and pushing past 1600X performance was possible. The 1600 also came stock with the Wraith Stealth cooler, while AMD tried a move from Intel’s playbook and sold the 1600X with no cooler at all. In short, the Ryzen 5 1600 (non-X model) was a much better value option. For the second generation AMD has learned their lesson. Only Intel can get away with bending over enthusiasts and make them excited about having to buy their own cooler, but also delid their chip so the cooler can do its job. This time around the X-models are more appealing. The Ryzen 5 2600X is currently selling for $190 but for that extra investment you get a bigger and better box cooler, better out of the box performance thanks to an up to 8% increase in clock speeds and a possible binning process, and lead to better memory support. As I see it this time around both models make sense and depending on your wants and needs, there may be justifications for buying either. If you plan on overclocking as was the case with the first-gen Ryzen CPUs, I feel like the non-X model represents better value. When reviewing the Ryzen 5 2600 I found it overclocked just as well as the X model. Overclocking headroom should be similar with both models and this means any savings can go towards an upgraded cooler. Both the 2600 and 2600X will require you to upgrade the cooler if you hope to achieve 4.2 GHz. For under $30 the Deepcool Gammaxx 300 is a nice option as is the Arctic Freeze 33 eSports One and there are loads more options to choose from. For ~$200 we’d rather go with the Ryzen 5 2600 + Arctic Freeze 33 eSports One combo than a 2600X with the Wraith Spire. Those willing to overclock will be rewarded, at 4.2 GHz the overclocked R5 2600 was up to 8% faster than the 2600X, it was also up to 11% faster than the R5 1600 maxed out at 4 GHz. If you’re really on a budget it’s possible to push the 2600 to an all-core frequency of 4 GHz using the Wraith Stealth box cooler. Finally if you’ve never overclocked before I recommend you give it a shot, it’s safe and extremely easy with most motherboards, just keep the voltage below 1.4v and you’ll be fine. There’s also loads of overclocking guides on offer and typically you’ll be able to find a guide tailored specifically for your motherboard.